For the levain combine water, flour, and sourdough starter. Stir until uniformly mixed. Cover and let stand at room temperature for about 12 to 16 hours. For the soaker pour water over the grain mix, stir, and cover with plastic to prevent evaporation. If course grains such as rye, cracked wheat, or barley are used, first boil the water and then pour it over the grains. Let stand at room temperature. For the final dough add all ingredients to the mixing bowl of a stand mixer. Mix on first speed for 3 minutes. Check the consistency of the dough, adding water to adjust. The dough should be smooth, satiny, and supple. Set mixer to second speed and mix for 3 minutes more. The dough should have moderate gluten development – it should be firmer and slightly springy to the touch. Transfer the dough to a lightly greased bowl, cover with lightly greased plastic wrap, and let rise in a warm place until doubled in bulk, about 1 to 2 hours. Divide the dough into 1.5-pound pieces. To shape into loaves, first flatten each piece into a rectangle about as long as the loaf pan and about twice as wide as it is long. Starting at a narrow side, roll the dough tightly into a log shape. Pinch the ends and the seam to seal. Place each loaf in a lightly greased bread pan. Cover the pan with lightly greased plastic wrap and let rise until it’s crowned about 1” over the rim of the pan, about 1 hour. 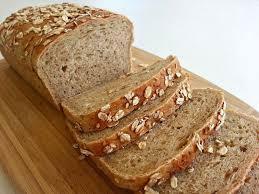 Bake the bread for 40 to 45 minutes at 375°F, or until its internal temperature reaches 190°F.